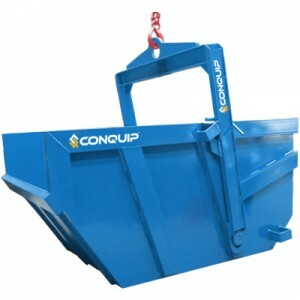 These skips are used for general muck and waste removal. The low loading height and drop down bale arm makes filling very easy. Designed with drop hanger, hook ring and latch for automatic emptying of the skip by crane operator without an assistant. Eliminates the need for a Banksman to enter the danger zone. Will lift and tip a part load.